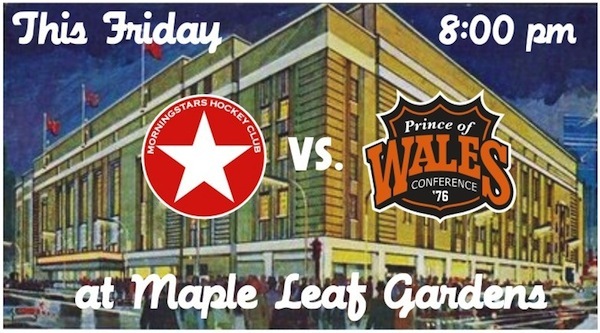 TORONTO - The Toronto Morningstars Hockey Club is scheduled to take on the 1976 Wales Conference this Friday, May 16 at Maple Leaf Gardens. At last report the Wales Conference was still looking to fill out its roster with at least a couple of draft picks. If you are interested in playing please email uuhadood@gmail.com The puck drops on this Super Summer Series Game 2 at 8:00 PM.